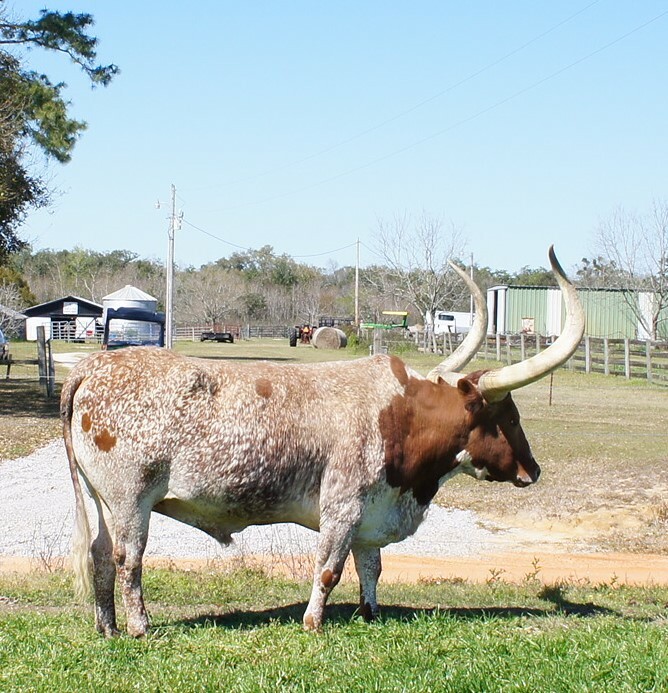 This big steer is a Texas Longhorn and Watusi cross. His name is Goal Post for obvious reasons . 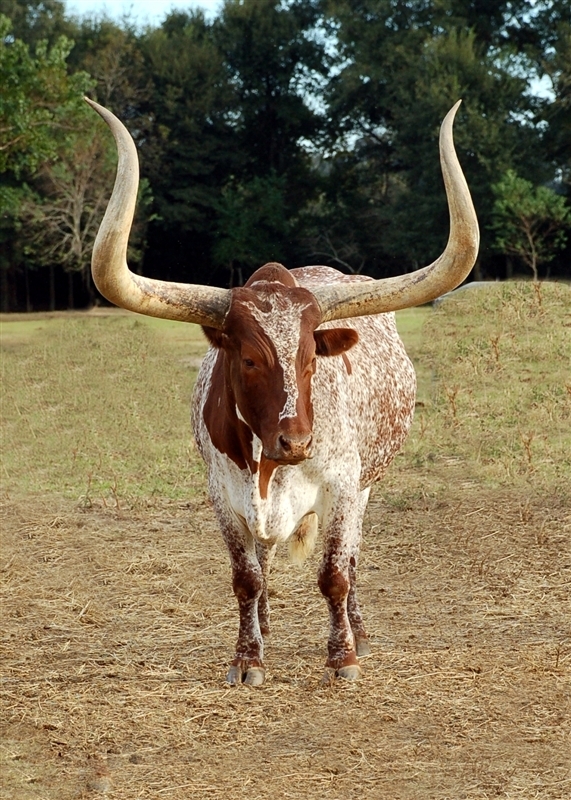 We believe he has the biggest horns ever. 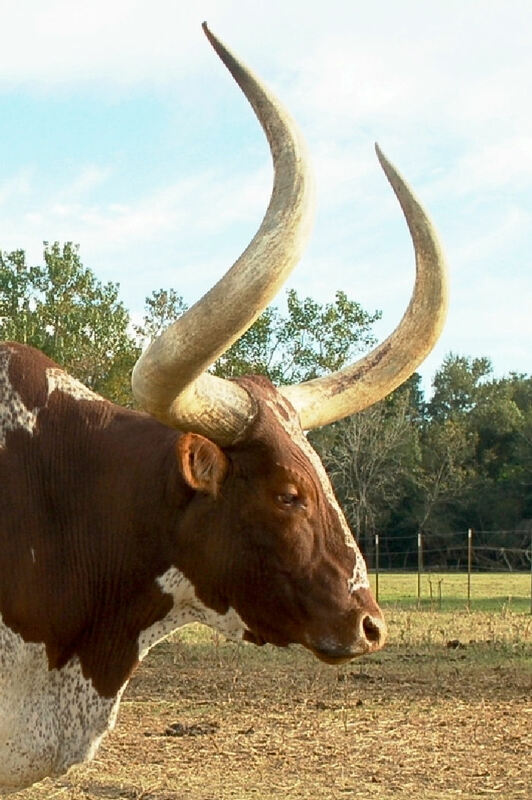 They are not the widest from tip to tip; however, if you consider the circumference of his horns and the total length of each horn, he surely has very near the largest horns ever recorded. This picture is not to be used for any purposes without written permission from the owners. We lost Goal Post on December 18, 2014. He is greatly missed around here.